I didn’t finish cutting my side pieces, but was pleased to be able to take pictures of one side at least. 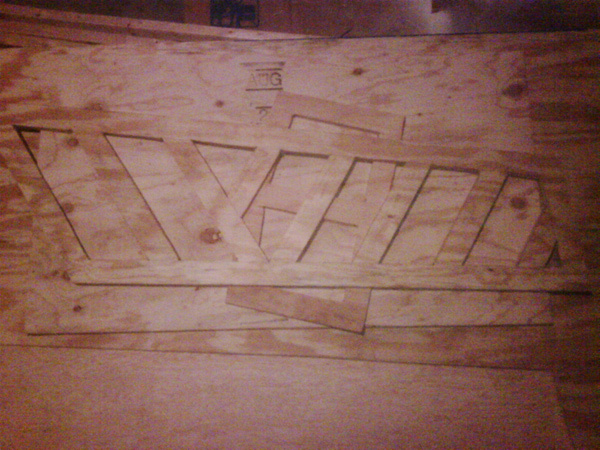 I am using 3/4″ plywood for most components and then cutting sections out for better weight savings. I expect to reinforce the frame in several places as well. If the frame looks small, it actually is. I am 6’5″ and will have to squeeze to fit, however in keeping with idea of “cute” dimensions, decided it is easier to make the cycle kart larger than trying to make an over sized cycle kart smaller later. I will try to cut the left side of the cart soon to snap some pictures of the pieces together to show how this cycle karting project is progressing.